Sometimes simply called a ruby ball, the synthetic ruby sphere is made from a base of monocrystalline aluminium oxide. Ruby exhibits identical properties to those of Sapphire. Small amounts of impurities give Ruby a red colouration. 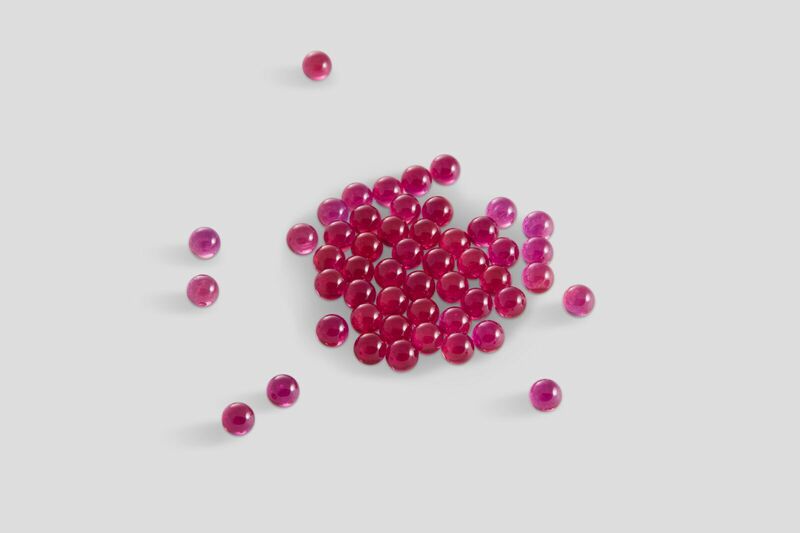 Precision ruby balls are chosen for their excellent hardness and resistance to wear. They can withstand high temperatures and have good dimensional stability. However, when better resistance to corrosion in either a basic or acid environment is needed, sapphire ruby balls are an excellent alternative. Only susceptible to substances containing Lithium (Li), Fluorine, Sodium (Na), Boron (B) and Potassium (K), as they offer a higher level of corrosion resistance than ruby balls.